My Pasty Gangster will not be home for Christmas this year. It will be the 1st Christmas in 19 years without him… as he is headed to Cookeville, Tennessee to spend the holidays (& then some,) with his girl Alex & her family. For me, it isn’t hard to deal with him being gone; it’s just… different. I am very happy for him being able to have special time, & even happier that he gets to be with the one person in the whole world he’d want to be with. What I’m pondering is the most visible acknowledgment of the very real transition that he is in… really, for me, this is much more of a transition than his high-school graduation ceremony was. He’s making many (most? All?) of his own choices. TheBean & I have & continue to trust our #1 son to Christ. Believing that as he makes his own choices, & lives his life, he will live in a manner honoring to Christ. It reminds me of when we dedicated him as a baby. And in retrospect, I see that we didn’t just have a fun ceremony, but instead we were making a lifelong declaration of faith, trust, & purpose: He is Yours, LORD. Now we’re getting to see him live it. So, it’s new & its different. Most notably, theWeez is already missing her brother, the protector; as is iDoey missing the one that he’s consciously or unconsciously measured himself against. In 20 minutes we’re heading to get “Christmas Picture 2010” taken – quite possibly the last Christmas picture of us with our nuclear family all living at home, all looking this way. Have nothing to do with irreverent, silly myths. Rather train yourself for godliness; for while bodily training is of some value, godliness is of value in every way, as it holds promise for the present life & also for the life to come. This saying is trustworthy & deserving of full acceptance. For to this end we toil & strive, because we have our hope set on the living God, who is the Savior of all people, especially of those who believe. Training up in godliness – what’s does this mean? What’s it look like, lived out? I’m confronted by areas where I’ve shied away from a ‘strict spiritual regimen’ – maybe because it seemed that the focus was on the ‘performing’ of the regimen or workout, & not on the desired results of the workout. Hmm. I’m confronted & convicted… there’s a bad heart attitude lurking in there… in the name of not falling into a rut, or a stale routine, instead I fell into something worse: a hit & miss haphazardness. 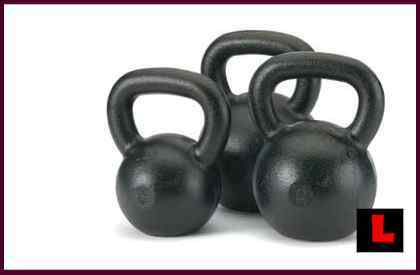 There’s a picture in my head – me & my kettlebells. The focus & goal of the workout isn’t to be able to brag that I did 25 minutes & 7 different exercises – its to increase strength, flexibility, stamina, cardio, & overall physical condition; that’s only going to happen if I regularly exercise, & simply do the workout faithfully – whether anyone knows about it or notices. Hard to believe theBean & I are celebrating our 22nd Christmas season together – when I look at her, I can’t believe that she isn’t 22. And I’m blown away that after 21.5 years of marriage, 3 kids, & living with me, she is even more beautiful than she was when we met. And those legs. Oh goodness.